To say that this beetle family is very rare and unknown is an undertstatement. The monotypic family was only found in large numbers in the early 1980s and since seems to have vanished. There is only one species in the family, Meru phylissae, named after the collector's wife. Meru is one of the smallest beetles in the world, averaging about 0.8mm long! This beetle is found in very particular aquatic conditions involving cascading water. The term meru comes from the local indigenous population's (the Pemon people) word for “waterfall.” Appropriately so, this beetle is only found in the natural rock water slide in El Tobogán, Las Amazonas, Venezuela. This is a fairly remote location that is largely protected by the Pemon. However, because this site is so unique Venezuelan tourists flock to the area, causing habitat degredation almost everywhere in Meruidae’s know range. This may be the cause of the apparent disappearance of the large population of Meruidae. There have been two recent attempts to collect the beetles, but only a handful of specimens have been collected since the 1980s. It is also possible that we simply do not know enough about the beetles to find them in large numbers, perhaps the collecting attempts were made during the wrong season or even the wrong year. Because Meruidae are so small, rare, and hard to find, there biology other than morphology is almost entirely unknown. We do not know what its eggs, larvae, or pupae look like or where they are found. Nor do we know for sure what the beetles eat and when they are adults. It is also possible that they exist in other more remote locations in Venezuela with similar rock slides that have not been discovered by scientists. Protecting this family will require research into its biology in order to provide the best management plan. An additional reason for conservation efforts is that the location in which Meruidae is found also contains every family of Myxophagan beetles, an extremely rare occurrence and worthy of protection. 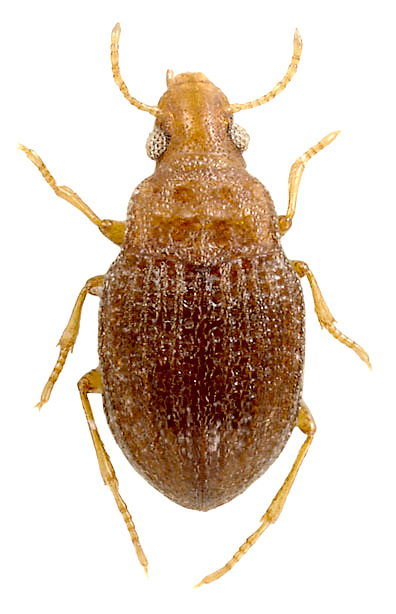 Not only this, but the home range of Meruidae is home to an almost entirely undescribed aquatic beetle fauna which is in grave danger of being lost before it is ever documented.